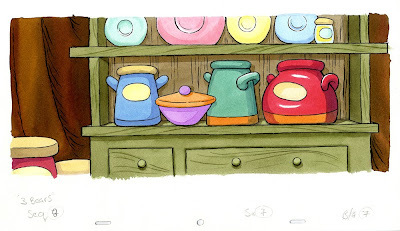 Here is a background from the OUP Goldilocks short we did a few years ago. 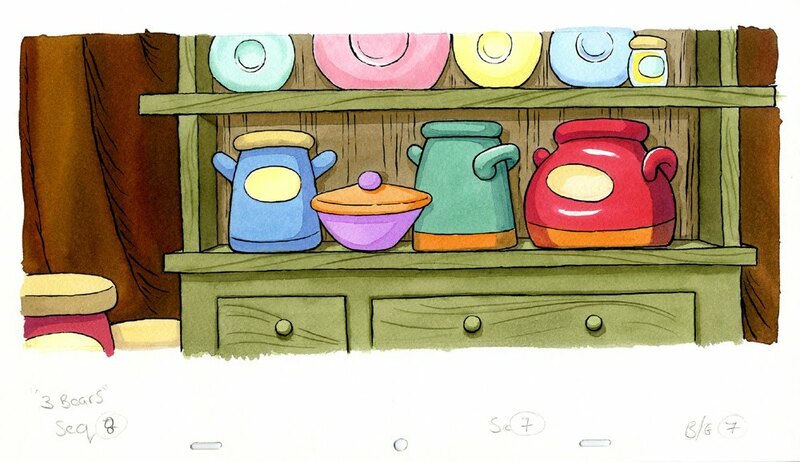 Ink and water colour on board. I checked with Mr Phil and he agrees that this is painted by Miss Teresa. COooooool! :D I like it - it's pretty. I wish my day job was painting pretty backgrounds! How happy would you be all day! ?